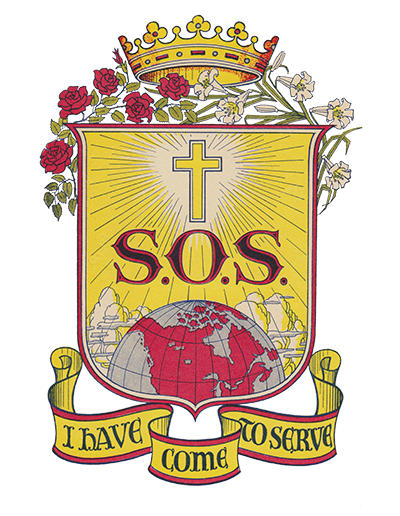 Upon closing the mission in Fargo, the Sisters arrived in Grand Forks in July 1963 to coordinate the religious correspondence school and to instruct lay teachers of religion in the Diocese of Fargo under the Confraternity of Christian Doctrine program. Following the Second Vatican Council, the Sisters introduced the changes in religious instruction in the classrooms and to the teachers. 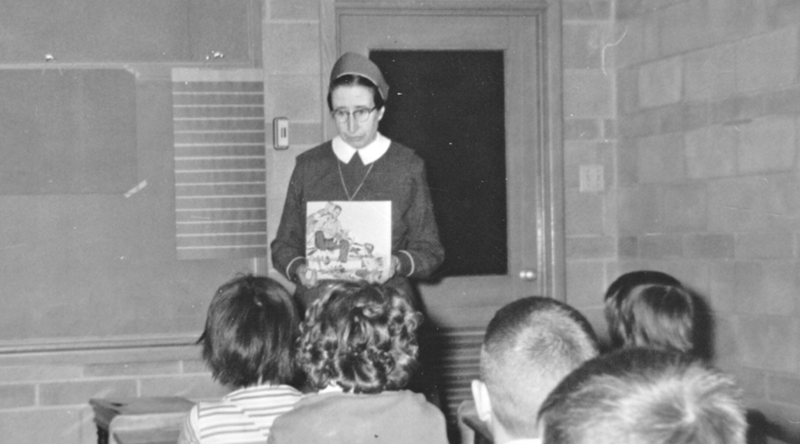 Sister Helen Hayes (1965-1969) and Sister Rosemarie Hudon (1963-1967) each delivered four to eight lectures a week to lay religion teachers. 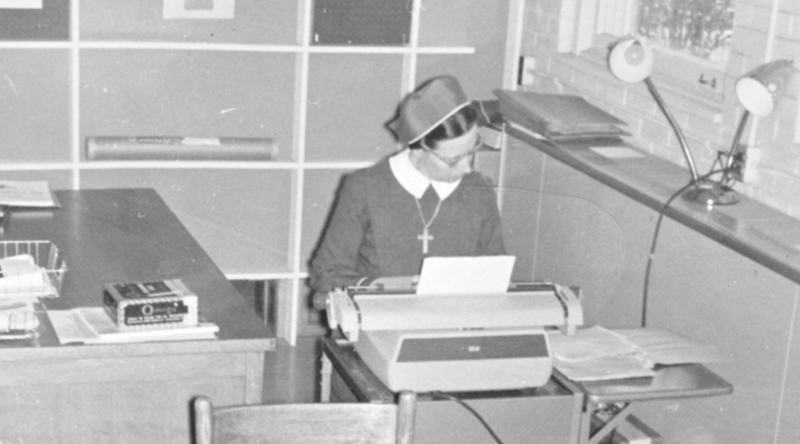 In addition, Sister Domitilla Morrison and later Sister Margaret Ready maintained the office and information centre. Sister Hayes remained until 1969, a year after the mission was scheduled to close in response to a local petition and protest.